[Image: 5L2WOoK.jpg]MUMBAI: Kalanithi Maran-promoted Sun TV Network has finally taken the plunge into the over-the-top (OTT) space with the launch of its own subscription video-on-demand (VoD) service Sun NXT. The company is offering three subscription plans—Rs 50 per month, Rs 130 per quarter and Rs 480 for a year for its VoD service, which will act as the default home for all its TV content. The service is available for free for a month after which subscription charges will apply. Sun NXT offers 4,000+ movies, live TV channels and TV shows in four South Indian languages, namely Tamil, Telugu, Malayalam and Kannada. The app will offer content across genres like GEC, movies, kids, news, music and comedy. Sun NXT can be accessed anytime, anywhere on mobile, tablet, web, smart TV and streaming devices. The South Indian broadcasting major also plans to have originals on Sun NXT. Some of the key features of the app are live TV, catch-up, app in regional language, HD viewing, exclusive movies, programme recommendations, multiple profile creation, internet bandwidth adaptability and offline download. Sun TV Network is a late mover in the OTT game. Broadcasters like Star India, Zee Entertainment Enterprises Ltd (ZEEL) and Viacom18 have already launched their VoD services that act as the exclusive digital destination for their TV content. These broadcasters have pulled out their content from other platforms. Sooner or later Sun TV is also expected to pull out its content from other digital platforms particularly YouTube to avoid fragmentation of audiences. 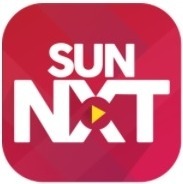 What differentiates Sun NXT from Hotstar, OZEE and Voot is that it is a subscription-driven platform while others are ad-driven. Star India’s Hotstar also has a premium offering priced Rs 199 that offers Hollywood content and sports.